I've been slacking on my blog lately. Like a sick obsession that has taken over my life. Many of you know that I get heavily involved with TV show relationships. 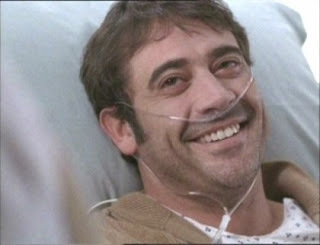 I grieved for 3 days when Denny died on "Grey's Anatomy" and to be quite honest I don't know if I'm really over it. "You know it's not real right?" "IT DOESN'T MAKE IT HURT ANY LESS MOM. HE WAS A WONDERFUL MAN!" Yes. I am that nuts. I definitely can't watch that episode ever and to rub salt in the wound Jeffery Dean Morgan was also dead in the show "Weeds"
Then there was the Joey and Pacey situation. #3 MOTHER EFFING PACEY AND JOEY WERE THE BEST COUPLE EVER. My mom knew that on Wednesdays I was unavailable due to a date that I had set up with my Sister Wife Joey and our mutual husband Pacey. When they broke up (Spoiler Alert circe 2000) I was pretty much inconsolable. I actually boycotted the last episodes of that season to really stick it to the producers and let them know how I really felt. They got my message because in the SERIES finale they show that Joey picks Pacey. There was the "One Tree Hill" Haley and Nathan relationship. Callie and George on "Grey's"
Jim & Pam's saga on "The Office" cost me quite a pretty penny in Tums. I was STRESSED OUT. Then the Liz Lemon and Floyd situation on "30 Rock" which to be quite honest I'm still a little bitter about. 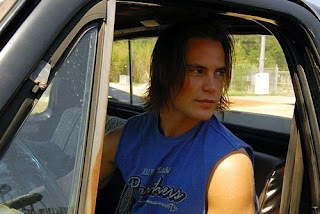 Currently I have fallen for essentially every single character on "Friday Night Lights"
The show has taken over my life. It's "watch instantly" on Netflix and I watch about 4-5 one hour episodes at a time. 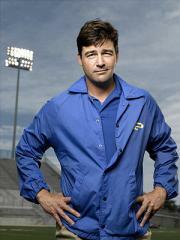 The show is set in Dillion, TX and centered around a high school football team, the Dillion Panthers. My friend Lauren and I have been watching simultaneously and have literally started talking about the characters as if we live in Dillion, Texas and are in fact friends with them. We give them nicknames, talk about Coach Taylor like he's our biological father, and perhaps have looked into buying Dillion Panther jerseys. I was really concerned about my love for TV shows and how emotionally attached I get. 2. That TV is in fact my boyfriend. I can name random facts about people who are appearing in cameo roles. I once realized that the main character in "Nick and Norah's Infinite Playlist" was also in a made for TV Lifetime Movie called, "She's Too Young." Agent Caitlin Todd on "NCIS" was also Gretchen on "Dawson's Creek." And one time I realized that one of the former suspects on "Law & Order: SVU" was suddenly the DA four years later. People don't forget L&W. People don't forget. I, Ashley Antoinette Jones, am in love with television. But my magical bf TV made it happen for me. Side note: The sum of Matt and Tim's football numbers is 40. With the rate I am going, that will oddly enough be the age when I recognize my SIMS family will no longer suffice as proper human contact. Double Side Note: If any of you see me in any establishment attempting to purchase SIMS you have permission to not only give me the biggest wedgie ever but to also mug me. I'll consider it an intervention. Yesss first I make your Gchat status and now I get a mention in the blog! Pretty stellar weekend for me. I'm surprised you didn't mention conversely our hatred for Julie aka Jules aka SATAN. Laughing out loud. At work. Per the usual. Thanks, Jones. Jones, you are my blogging icon. You are so hilarious. I also love the Joey/Pacey escapades and even more now that I live here. I challenge you to move to American Dreams Season 1, my current netflicks addition and a Mancuso family staple. However I must warn you not to get too attached season 1 is the only one on DVD. FAIL NBC FAIL!